In a matchup seemingly orchestrated by some broken algorithm, songwriter Kris Kristofferson was joined onstage by Marilyn Manson and actor Dennis Quaid at the Ace Hotel in Los Angeles on Sunday. Shooter Jennings and Tanya Tucker, artists who one might expect to share a green room with Kristofferson, were also on hand for the gang’s rousing rendition of Kristofferson’s 1972 song “Why Me.” Thankfully, because no one would believe us otherwise,, the whole thing was captured on video. It’s unclear if this bizarre gathering of individuals was planned or if the singer just ended his set that night by asking if anyone moderately famous wanted to sing. 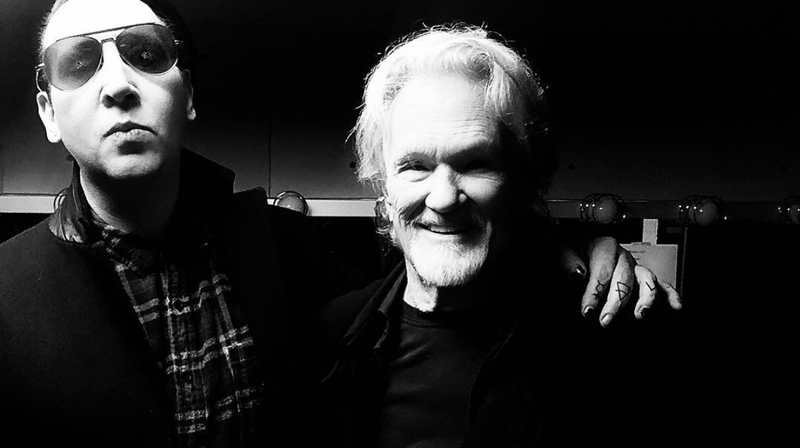 Regardless, Manson was thrilled, taking to Instagram afterwards with a photo of him and Kristofferson backstage. “An honor to be invited onstage with the true Star Is Born,” he wrote in a nod to Kristofferson’s starring role in the Barbara Streisand-starring 1976 version of A Star Is Born. Somewhere, Bradley Cooper is throwing out his Antichrist Superstar CD.